In this exhibition, Madrid Design Festival pays homage to Contemporary Spanish crafts, a true survivor of all the social, historic and technological changes that have taken place in our popular culture. The combination of design, functionality and artistic wealth of the objects that form part of our daily lives go well beyond a mere comparison to Fine Arts. Talent is an essential quality for creating beautiful and enduring artisan objects, a powerful way of ex- pressing something of ourselves and leaving an indelible imprint on our surroundings. For these reasons, these creations must be endowed with a balanced combination of six core features: culture, legacy, excellence, mastery of the trade, creativity and a strong relationship between the creator and owner of the object. Craftmanship grows increasingly closer every day to contemporary artistic creation. Historic weight positioned craft as old– fashioned and dusty, neither modern nor interesting, and as something to leave behind in the pursuit of progress. However, today, artists and creators understand it as a serene and honest medium, to which they feel attracted and comfortable. Craftsmanship links us to a secular past connected to physical context, and much freer from speculative theories. And this is like a breath of fresh air. The gaze of artists and designers from all disciplines returns with interest and curiosity to the skill, experience and dedication of master craftspeople, generating possibilities of collaboration and professional networking. These networks, ever more frequent —from private consumers to large luxury brand labels that commission these small workshops to produce some of their items—are important so this beauty and knowledge can be inte- grated into our daily lives as they truly are: an extremely important cultural manifestation. 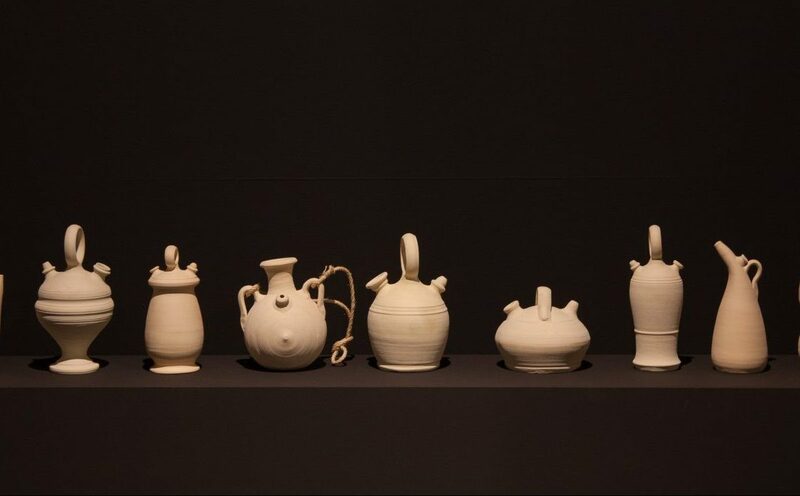 One of the fundamental areas of this exhibition is being able to show not only the end result of the work of these craftspeople, proposing a journey through the diversity of artisan production especially selected for the occasion—precious metals, ceramics, glass, textiles, wood, basketry and metals—but also the different techniques applied within each of these disciplines, and the creative process that each craftsperson follows. And thus viewers will have the opportunity to see some of the best crafts projects to be found all in Spain today. Curated by journalist and researcher Macarena Navarro – Reverter, author of the book España a mano (Spain by Hand), and produced by La Fábrica, this exhibition contains 117 pieces from 60 studios – including Gordiola, Steve Mono, La Cartuja de Sevilla, Sargadelos, o Martín Azúa– and is a declaration of intent for rethinking the use of the techniques and materials of the past with the creative men- tality and methods of the twenty– first century.